We’re getting ready to list our home and I’m frantically working to fix the place up. I’m so excited for our upcoming move to Ft. Lauderdale! We’re updating the bathroom fixtures, I’m in the process of repainting my kitchen cabinets and I have every room in the house patched up and ready for paint touch-ups. Everything has been scrubbed and thoroughly organized, which is no easy feat with two young kids in a small condo! Looking around my home I knew I had to do something about our parson chairs. They were a wedding gift (9 years this May!) along with our Nova Table (Crate and Barrel) from my parents and are really showing their age. I never realized how messy kids would be. I fondly remember my once spotless and well decorated condo pre-kids. 3 Meals a day and all our art and craft projects have led to lots of wear and tear. These microfiber chairs just didn’t withstand my kids paint and food covered little fingies. So chair covers to the rescue! 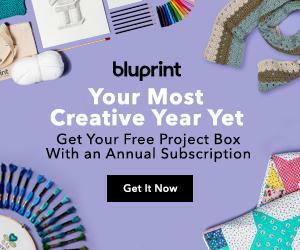 I’ve actually been planning on making these for the last two years but never found the right fabric that was in my budget. 4 chair covers requires approx. 8 yards!!! and that’s for half covers on my shorter height chairs. 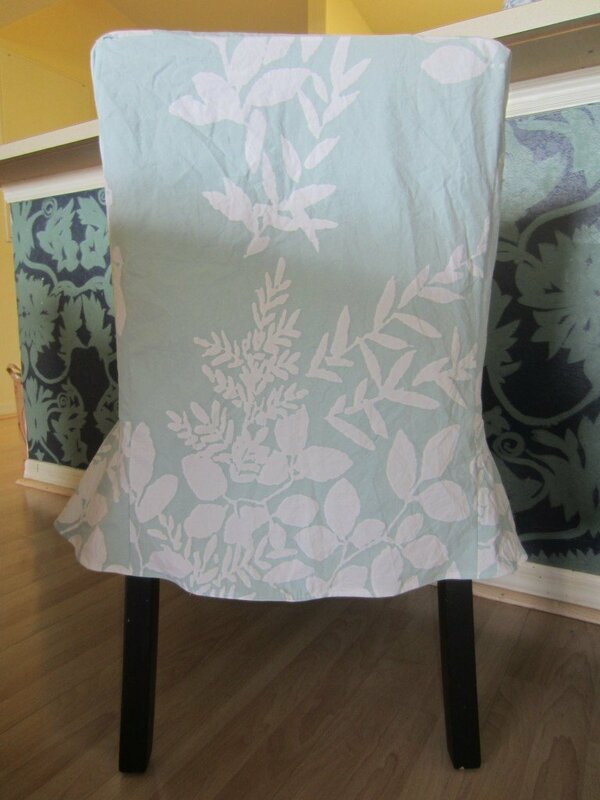 I really wanted to get this lovely organic barkcloth but at $17/yd that purchase will have to wait a bit. Luckily as we’re prepping to leave our condo we no longer need our queen bed. That left my duvet, another wedding gift that I love, obsolete. I doubt we’ll ever buy a queen bed again, we’ve been spoiled by our king. 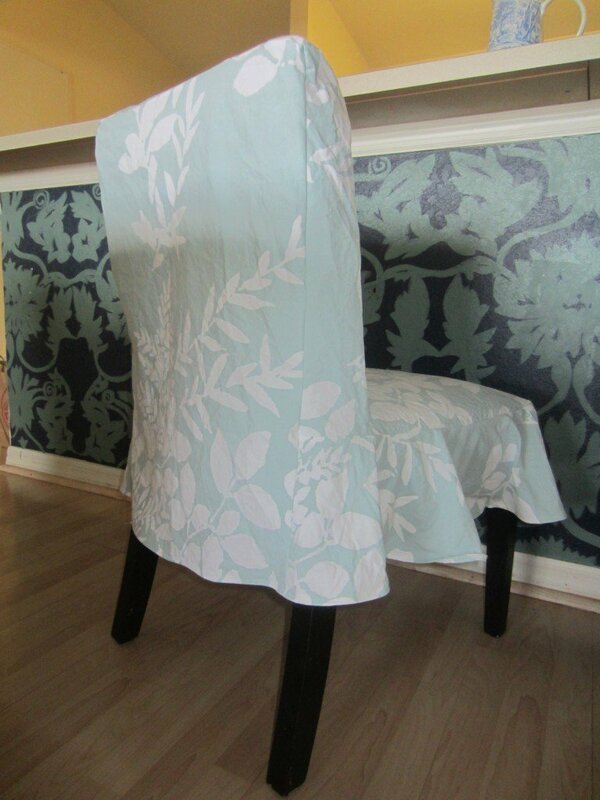 I had just enough yardage to cut these out- including using the pillow shams. I left the duvet sewn together and cut two pieces at a time. 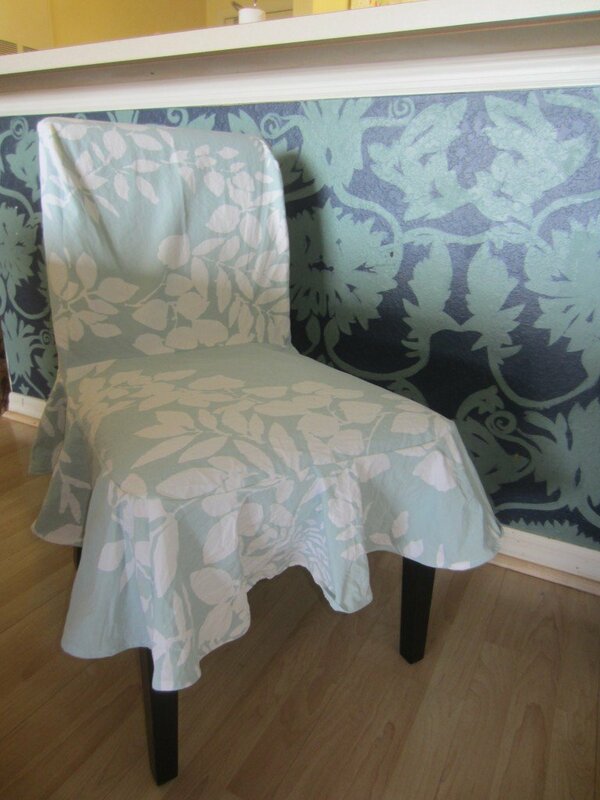 I used McCall’s 4044 View C. I altered the height of the front and back pieces by draping the pattern pieces over my chair. Next time I’ll narrow the front to back width to fit a bit better, right now it’s a bit wider then necessary. I sewed everything assembly style, first on my sewing machine and then on my Serger to secure the seams. I want these to last! I love how these turned out. The color and print works perfectly with the rest of my decor. The best part is I know I can just throw them in the laundry whenever the kids get them dirty. This was a great easy to follow pattern with lots of different options and styles. Probably the easiest sew I’ve had in a while, Although quite time-consuming as I made 4. I actually got these all done in just 2 days! I was so excited to see the finished results. Back to cleaning I go! These turned out even better than you described. The flounce is just the right tough of whimsy and femininity. What a great way to repurpose a duvet! The print is a complement to your wall and a nice contrast with all the solid colors in the room. I know what I want for Christmas. 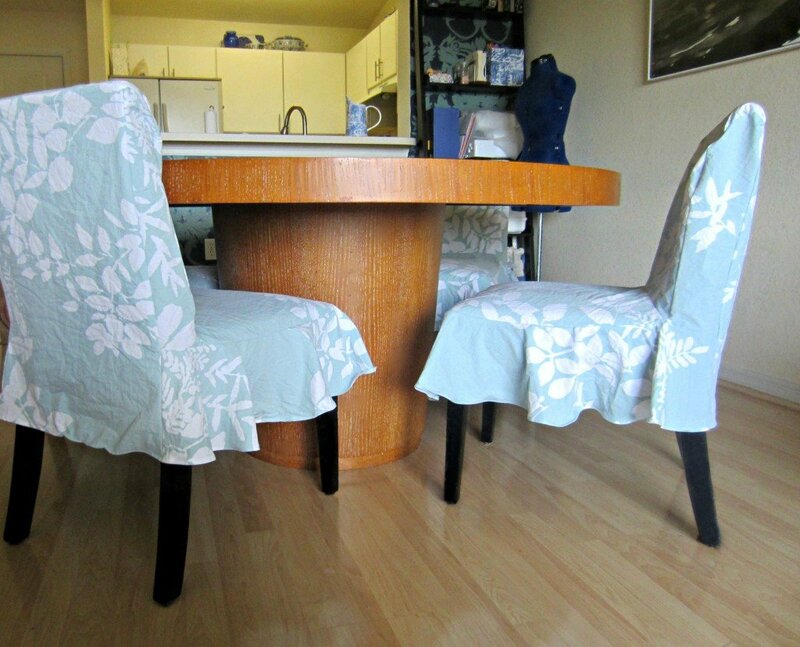 I love how handy sewing is…I mean, you could rush out to buy chair covers but making them is practical and awesome. Good luck with the sale! Isn’t it fabulous! My problem lately is I want to sew everything. Thanks Annie! 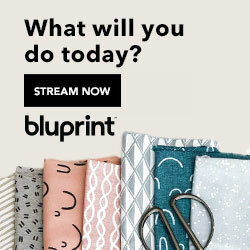 Those look great – the duvet cover really worked out. I would never have guessed – it looks like you bought these in a store.